This rhino’s markings were so distinct, there was no mistaking it. I couldn’t believe my eyes. 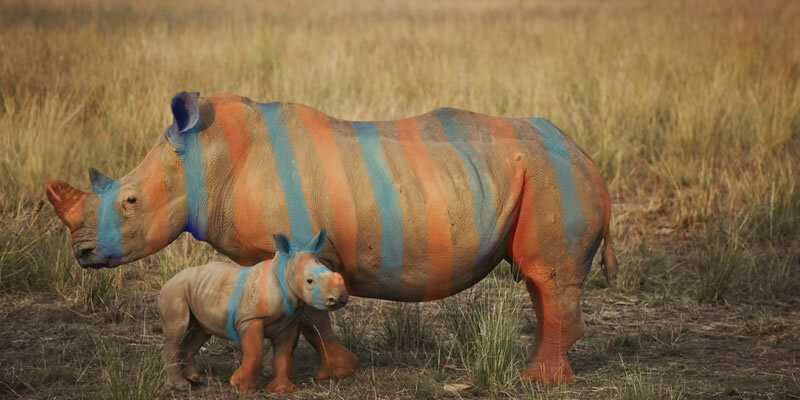 All I was thinking was, it’s a striped rhino! It has been reported that the Striped Rhino (long thought extinct) has been spotted and photographed in the wild for the first time in nearly two decades! Several photos have surfaced on wildlife message boards showing the near-mythical animal grazing side-by-side with its distant cousin, the White Rhino. Experts have speculated for some time that the two would share the same geographic range, but the pair have never before been captured co-habitating wild land. Rare archive photo of mother and calf. Note the incomplete stripe structure on the calf. Full striped patterns do not develop until Striped Rhinos are at least 2 years old. 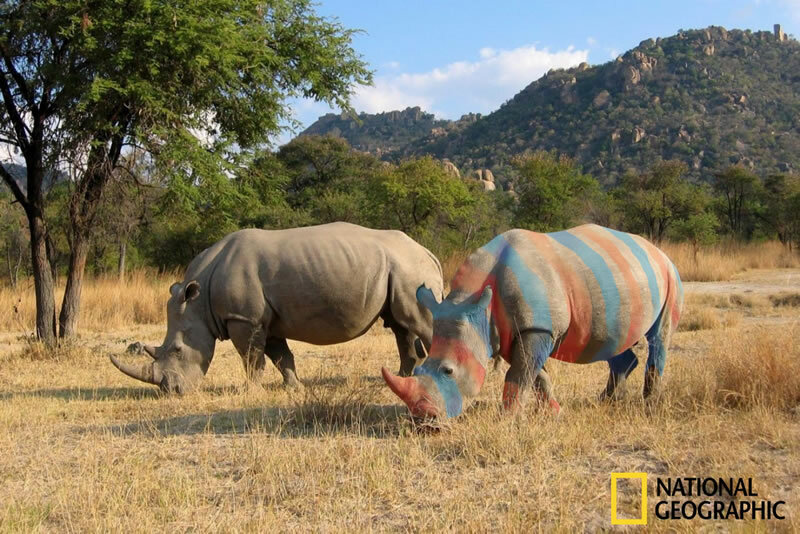 Because the genetic variation between the Striped Rhino and the White Rhino is so negligible, scientists fear that inter-breeding between the species could cause the final demise of the distinctly different Striped Rhino variation before the end of the decade. When genetic diversity, and ample population allows, the two species are able to coexist and the distinct coloration of the Striped Rhino is not at a threat of disappearing. However, with populations of the two species thought to be in the low hundreds worldwide, the scientific community is beginning to fear that the genetics of both rhinos will become diluted into the gene pool. 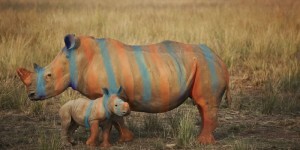 This could spell the end as we know it for the magnificent Striped Rhino. Legislation has been proposed to capture and relocate all White Rhinos to a region farther south. It must have been amazing to see one in real life. Truly amazing. God bless. When I was a boy I went with my father on a month long safari. This must have been in 1970 or 71. He was a photographer for NatGeo, so went on safaris like this all the time. One morning we woke up to a rustling in the bushes and sure enough it was a full grown Striped Rhino coming out to check on us. The thing was absolutely massive. He got pretty close to our camp so eventually the cook came out and banged some pots and pans together to scare it off. Ill never forget that sighting.